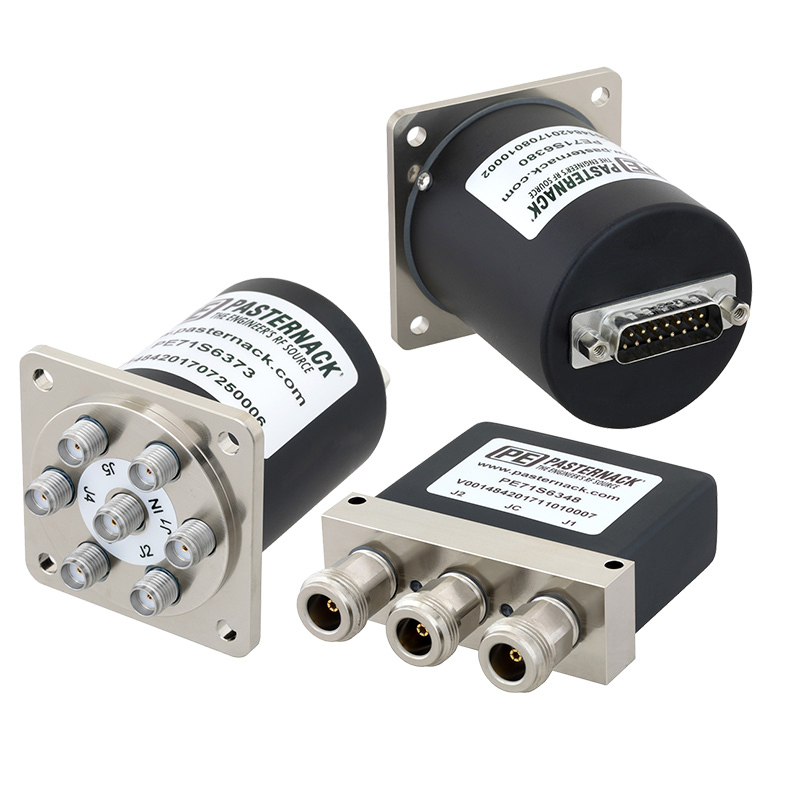 A new line of electromechanical relay switches, introduced by Pasternak, in popular configurations that operate from DC up to 26.5 GHz and feature a D-SUB multi-pin connector interface for secure and reliable DC voltage and command control functions. D-SUB multi-pin connectors provide a solderless, press fit reliable I/O connection that can be permanently locked down with a mating multiple socket D-SUB connector and will not come loose or break off during handling or environmental exposure to shock and vibration. Typical applications include military communications, commercial aviation, Hi-REL electronics, SATCOM, test and instrumentation, broadcast systems and medical equipment.